After several attempts to win over girls hearts as much as the boys, LEGO Friends launched in early 2012. 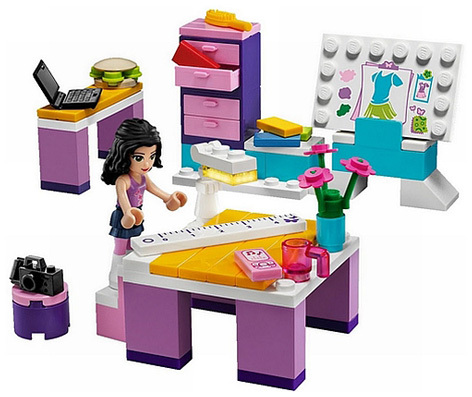 Replacing the long discontinued Paradiso, Scala and Belville ranges, LEGO Friends offers girls a huge role play and construction toy opportunity. The story telling themes follow the adventures of five girl friends who live in Heartlake City; Mia is the animal lover, Emma is the beautician and Andrea is the Friends group singer. The smart girl is known as Olivia whilst Stephanie is the party animal, always out socialising. Many other characters make appearances in the LEGO Friends series of sets; these include Robot, Sarah, Anna and the only male in the group – Peter. Incredibly, 23 different sets were available at launch at many different price points. Each one includes at least one Friends minifigure, with sets including a vet clinic, stables, a cafe and several different houses. 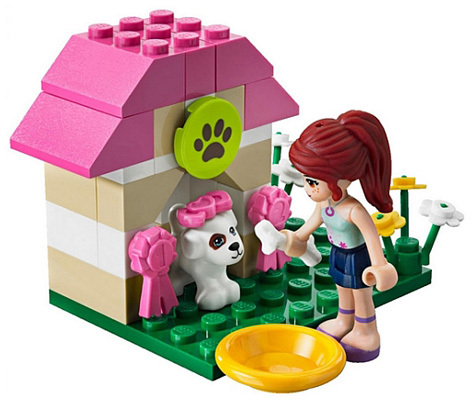 By using girl specific brick colours like purple, pink, tan and turquoise, LEGO Friends construction sets also include animals and other accessories that aren’t used in any other ranges. Little girls will be looking out for models of porcupines, cats, horses and a cute little hedgehog, as well items like cupcakes! Set 3315 Olivia’s House is the showcase toy, and includes Peter, Anna, and of course Olivia. Set accessories even include a lawnmower, a vegetable patch and barbecue, whilst inside there’s a kitchen, sitting room, bedroom and a very swish roof relaxation area! Please tell us what you think of LEGO Friends by LEGO.